Hey babes thanx for all ur comments and a lovely words! Do you have any questions?Please ask me I will try to reply them directly!have nice day! was für eine wunderschöne tasche und auch die leoflats find ich super! OMG, die Sachen sind so schön! Ich freue mich schon auf trage Bilder! 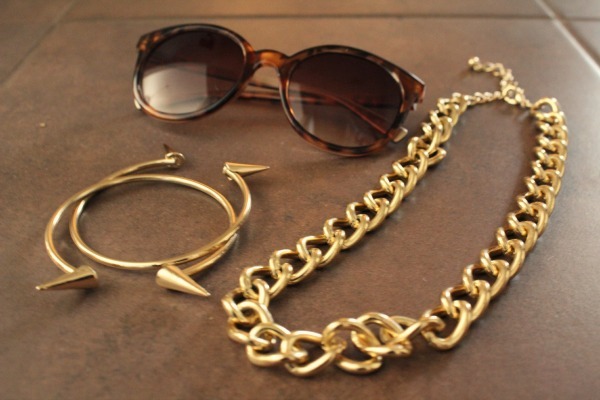 Love the chunky gold necklace, the blouse with the golden collar and the shredded shorts ! You did some serious shopping, but I love all of it. Amazing things!!! I love your sunglasses!!! Wie viel hat das Chanelshirt gekostet? Bin nämlich schon lange auf der Suche nach solch einem..
How are you?? huuunf dont me mad at me but it has been such a long time i dont come to check your posts. But there is always amazing things to look at. I loooove your chooices. 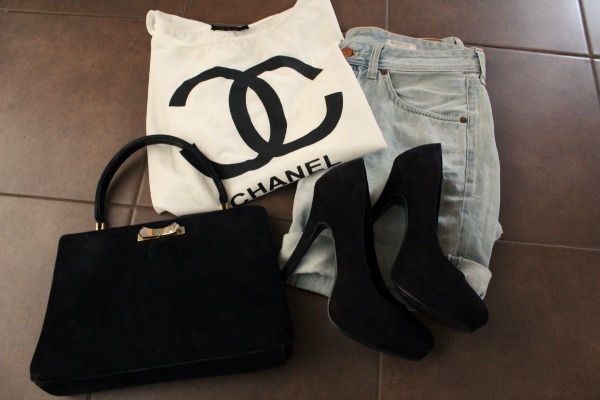 The jeans shorts with the Chanel t shirt and the high heels are just my style! Sehr schöner Blog! Ich liebe deinen Style!! Verfolgt ;-) !!! Darf ich fragen wann du das Chanel Shirt bestellt hast? Hab eben auf Romwe geschaut ist leider nicht mehr da :-( möchte unbedingt auch so eins!